Do you remember jolly Brer Rabbit? 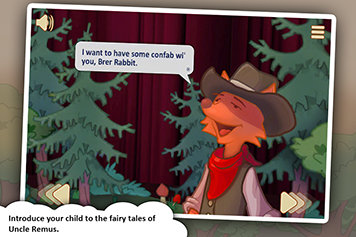 And cunning Brer Fox? Introduce your child to the hilarious adventures of the heroes of the Uncle Remus stories. These stories are packed with humor, fantasy and wisdom. 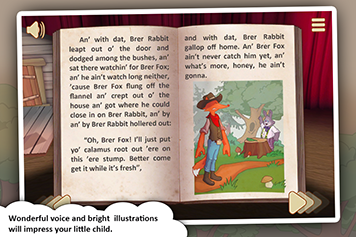 Brer Rabbit and Brer Fox have long been favorite storybook characters of children worldwide. 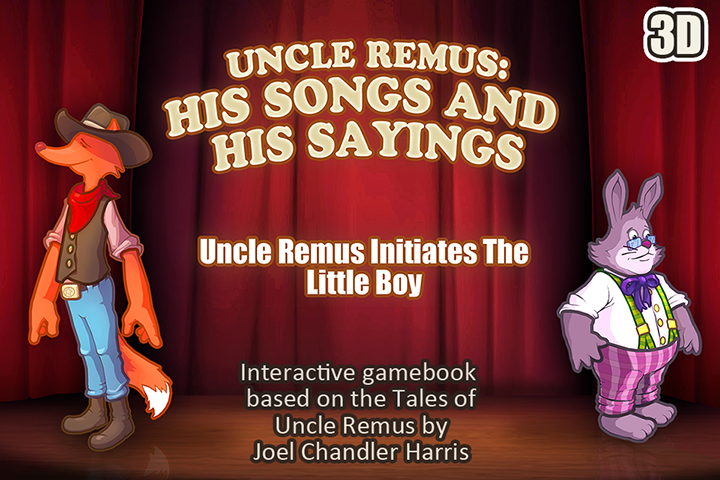 «Uncle Remus: His Songs And His Sayings» are interactive children’s books. The stories themselves are enhanced with numerous scenes and mini-games. 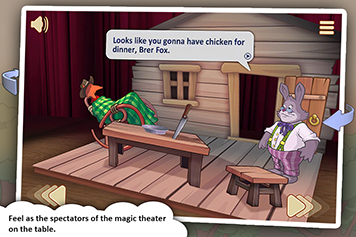 3D comics let your child feel like a spectator in a magical theater. They can touch every single object in the scene, and take a look at the stage itself from different angles. The stories are read by a professional actor, but what could be better for a young child than having a story read by their parents? Turn off the actor’s voice and act out the voices of the characters yourself. «Uncle Remus Initiates The Little Boy» is the first section of «Uncle Remus: His Songs And His Sayings». 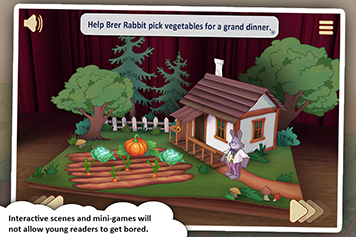 In this section, your child will meet the main characters, help Brer Rabbit pick vegetables from the vegetable patch, find where Brer Fox is hiding and find out what kind of tail Brer Possum has.